Van Till Tree Care is the answer to your needs for tree service in Trent Hills, ON. We’ve been providing expert tree care service in the Trent Hills area since 2000. Our arborists are well-versed in all your tree care needs. Whether you’re having a lot cleared, or in need of utility line clearing, we’ve got the skills and expertise to do the job properly and meet all coding and governmental regulations. Our arborists know trees. Shane Vanden Tillaart, the owner of Van Till Tree Care, has certifications from multiple professional organizations and he’s devoted to the preservation, maintenance, and care of your trees. So are we. Trees are essential to the preservation of life. Caring for them is therefore an honorable trade and one in which we are proud to participate. We will care for your trees like they are our own. Tree Removal: Sadly, not all trees can be saved. When you notice that a tree on your property is diseased or severely damaged, it’s a good idea to contact an arborist about its removal. Tree Trimming: Cutting down limbs that are dead, infested, or diseased is essential for the well-being of the tree and the structures on your property. Our arborists can make appropriate recommendations for the trees well-being and endurance. Tree Risk Assessment: Assessing the health of the trees on your property takes a skilled arborist. Ours can tell you exactly what your trees need. And we can apply the services necessary. 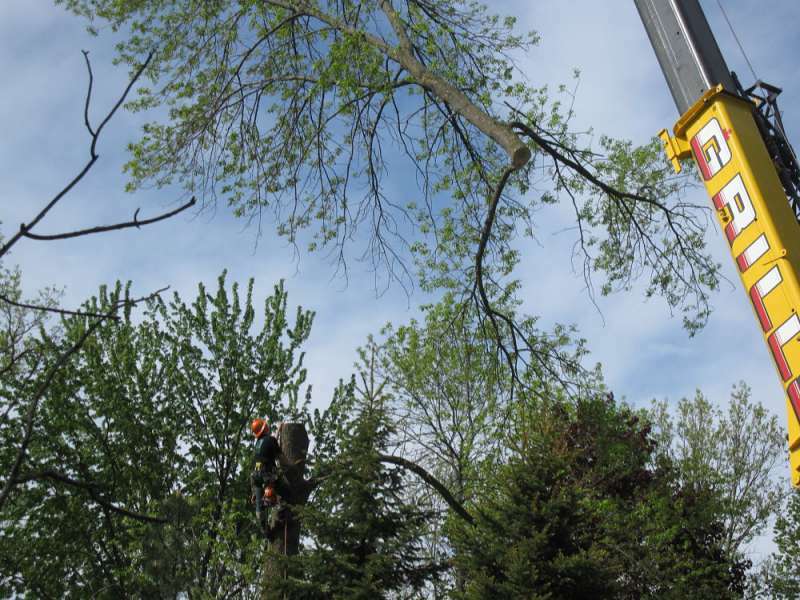 Other Tree Care Services: We offer additional tree care services that include stump grinding, storm cleanup, and cabling and bracing. We’re available 24/7 for all your emergency tree care needs too. For nearly twenty years we have been providing exceptional customer service and tree care to the Trent Hills area. Campbellford: Enjoying its presence on the Trans Canada Trail, Campbellford is surrounded by impressive agricultural landscapes. We are always enamored by the bison farms whenever we’re in town. Hastings: Located in cottage country, Hastings’ small population enjoys the Trent River and a booming tourist business. We never miss its notable water tower when we’re there. Warkworth: Although it used to be called Percy Mills, Warkworth has plenty of historic intrigue. And, those of us who fancy ringette are always envious of the town rink. If you are residing in the Trent Hills area, we are the tree service company to call for your tree care needs. Our owner has TRAQ and International Society of Arboriculture (ISA) certifications. And, our roots run deep in your area. With nearly two decades of experience caring for local trees, you can rest assured that our arborists are prepared to meet your trees’ needs. And, we offer free estimates. Give us a call today, or fill out our online form to schedule yours today.